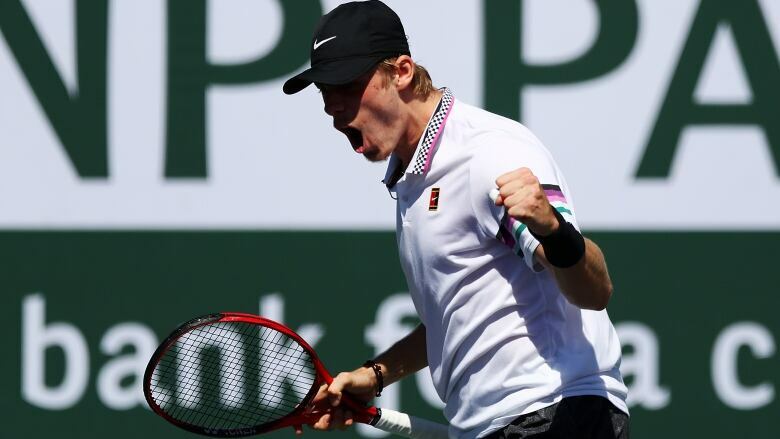 Canadian teenagers Bianca Andreescu and Denis Shapovalov are moving on at the BNP Paribas Open after both posted upsets on Tuesday. Canada's contingent of tennis teenagers is continuing to make waves in the California desert. 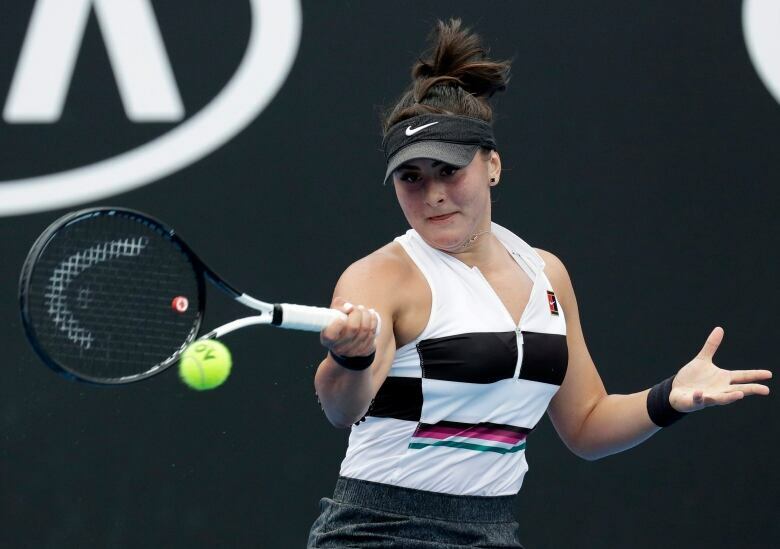 Wild card BiancaAndreescu of Mississauga, Ont., continued her dream run at the BNPParibas Open on Tuesday, rolling into the women's singles quarter-finals with a 7-5, 6-2 upset of No. 18 seed Qiang Wang of China. Later, No. 24 seed Denis Shapovalov of Richmond Hill, Ont. posted an emphatic 6-4, 6-2 victory over No. 10 seed Marin Cilic of Croatia to reach the round-of-16 on the men's side. Andreescu will face No. 20 seed and two-time Grand Slam champion Garbine Muguruza of Spain in Wednesday's quarter-finals. "I have watched her play many times on TV, so it's just crazy to think that I'll be competing against her," said Andreescu, who will leap into the top 50 in the WTA Tour rankings on Monday. Shapovalov's next opponent will be Hubert Hurkacz. The 22-year-old from Poland, unseeded but ranked a career high No. 67 this week, is another member of the ATP Tour's "Next Gen". Shapovalov followed his comfortable win over Cilic with a rap for the crowd. "It wasn't easy after the match to find my thoughts, find the lyrics. ... I wrote down a couple of things, took me two, three minutes," Shapovalov said. "Didn't actually look at it until after the match today. "That was fun. That was cool. It's something I have been doing as a hobby. It's just a fun little part of me." Andreescu said she was a fan of Shapovalov's performance. "I actually just watched it before I got in here," she said. "It really put a smile on my face. That's for sure." The other member of Canada's teen trio at the tournament, Montreal's Felix Auger-Aliassime, was eliminated Monday night in a dramatic third-set tiebreak against qualifier Yoshihito Nishioka of Japan. But Auger-Aliassime also made a measurable impact, including a win over ninth-seeded Stefanos Tsitsipas. Canadian players have always enjoyed solid support from the snowbirds in Indian Wells, so it's no coincidence many have posted great results over the years. But the number of Maple Leaf flags, red and white T-shirts and Canada caps keeps growing this week. And others are joining, as the youthful enthusiasm of Auger-Aliassime and Andreescu — both just 18 — and 19-year-old Shapovalov capture the imagination of tennis fans from all nations. Andreescu will earn US$182,000 in prize money for reaching the final eight. She is the youngest women's quarterfinalist here since Anastasia Pavlyuchenkova reached the semifinals in 2009 at 17 years, eight months. The Canadian teen was frustrated enough after giving up an early lead in the first set to do some damage to one of her rackets. "It's nice to let some anger out sometimes. I wish I didn't have to do that, but it just came out," she said. It didn't work right away. But Andreescu eventually won that first set. And then she roared to life after overcoming a love-40 deficit as she served at 3-2. Five straight points to hold led to another break of serve that put the result just about out of reach. "I think that was a really crucial game," Andreescu said in an on-court interview after the match. "I didn't think I served well at the beginning of the game. I think I relaxed a bit too much, but then I'm like 'Screw this' (and) I just went for it and ran like crazy." No. 13 seed Milos Raonic of Thornhill, Ont., will face unseeded German Jan-Lennard Struff in a round-of-16 match scheduled for Wednesday. Struff beat Raonic in three sets in the first round in the Canadian's last tournament in Dubai. In women's doubles, No. 5 seeds Gabriela Dabrowski of Ottawa and Yifan Xu of China posted a 6-3, 6-2 win in their quarterfinal match against Darija Jurak of Croatia and Raluca Olaru of Romania. Shapovalov will tie his career-high ranking of No. 23 with Tuesday's win. And he will be looking for more. He arrived early in the desert after a series of pedestrian results at indoor tournaments in Europe, other than two impressive wins in Canada's Davis Cup victory over host Slovakia in Januray. The slow courts and the quick balls in the desert are a combination that should work well for him — once he adjusted. He felt it kick in, as it happens, during a practice with a countryman. "I think with Milos, actually, we played both really solid tennis. That was the first time I felt like, 'Okay, I'm starting to feel my game again. I'm starting to play some good points. The ball is sitting on my racket," he said. "And ever since then, I have been able to play some really good tennis."